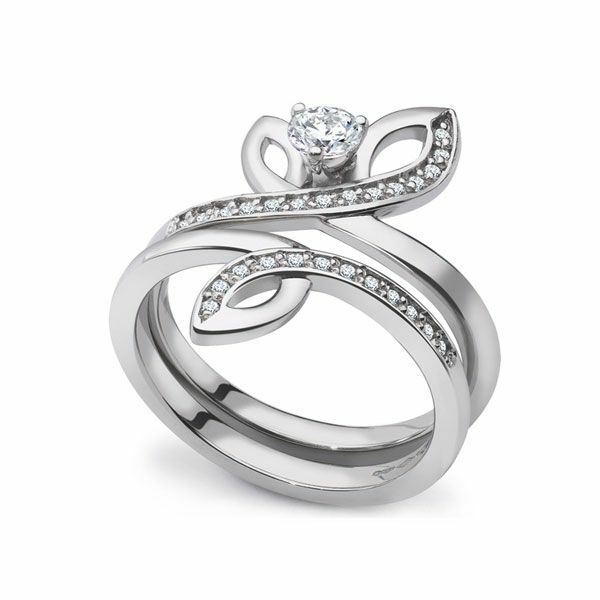 A truly exceptional offer for two beautifully designed rings in one complete set. A single Solitaire Diamond sits at the centre of the Diamond Detailed Engagement Ring with a matching Diamond Set Wedding Ring. The Engagement Ring holds a 0.25ct Round Brilliant cut Diamond, with a further 0.07cts of Diamonds flowing along the loop detail, and another 0.06cts sweeping across the matching loop detail of the Wedding Ring. With a total of 0.40cts, this delicate duo has been created in 950 Platinum, and is available to fit a finger size M. The Round Brilliant cut Diamonds have been graded G Colour and SI1 Clarity. This is our only set available, and is available for immediate dispatch. Your rings can be with you with Next Day Delivery (Within the UK), and with you in just a few days if you live internationally. It will be delivered straight to your door by a trusted courier and will be beautifully wrapped in Serendipity's own bespoke Packaging.